LJ has worked for Certified Transmission for over 20 years as a diagnostician, and is an ASE-certified technician. A customer brought in his 1994 Toyota Camry concerned that his brakes were hanging up when braking to a stop. When I road tested the vehicle I confirmed that there was a strange dragging feeling upon light brake application. During the road test, I also noticed that when the brake pedal was applied, the ‘R’ lamp in the PRNDL indicator illuminated even though the selector was in Drive. I also noted that the ‘tail lamp out’ warning indicator came on at the same time. The first obvious check was to take a look at the tail lights themselves. I have learned over the years that you never ignore the signs right in front of you, even if you think they might be completely unrelated. The bulb filaments appeared to be normal and intact. The fuse was okay, and I saw no issues with the sockets or wiring to them. At this point, I checked the stop lamp switch, and it was performing as expected. Next, I checked the ground and power on the stop lamp side of the socket. No power with the brakes applied. Now I had a confirmed system issue that I could go and search for the cause. Since I had already checked most of the components in the system, I wanted to focus on the circuit itself. I pulled the trunk trim out so that I could access the harness, and began tracing from rear to front. Right at the RH hinge area, I found the culprit: the harness had rubbed through from the hinge itself. Several wires were chaffed or completely broken. I repaired all the wires, and in doing so, corrected two problems! The stop lamps now functioned properly, and the dragging feeling was corrected. How can that be? The torque converter clutch was partially applying when the brakes were applied. 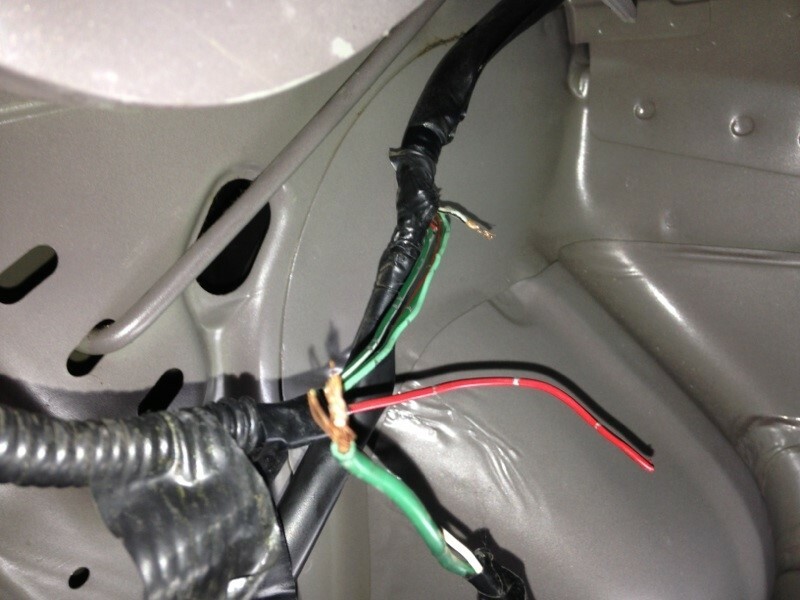 This occurred because stop lamp voltage was back-feeding into the system through the shorted wiring, and applying the converter clutch solenoid just enough to make it drag when stopping. It also appears that this was causing the ‘R’ lamp on the dash to illuminate. 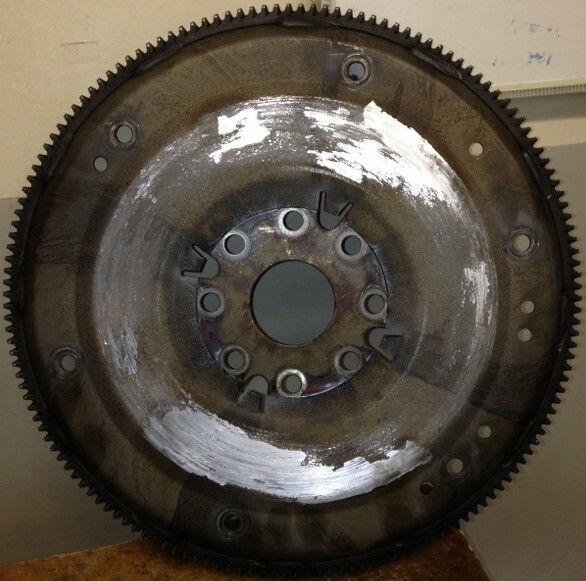 If the customer had ignored these symptoms, the converter clutch itself would have more than likely failed over time. Switching gears (pun intended), I have an anecdote that is more in line with transmission repair. The cause is often overlooked, and more common than one may think. This case involves a 2007 dodge pickup 2500 with a 6.7L diesel and a 48RFE with the complaint of a noise when it was running. A generic description, indeed, but it was all we knew given what was written on the night-drop form. After verifying that there was a metallic scraping noise emitting from under the truck, we put the truck on a lift to see what was going on. The noise appeared to be coming from inside the bellhousing area, so we advised the customer that we would have to remove the transmission to see to diagnose the issue. In many cases we can trace the cause to a bent flexplate, or worn crankshaft thrust bearings that cause excessive end-play, allowing the converter to walk forward with the crankshaft and contacting the separator plate. This was an OEM setup, and we determined that this damage was caused by the torque converter “ballooning” into an oversized state, causing contact between the flexplate and separator plate. We learned that the customer uses this vehicle for his roofing business, and pulls a large, heavy trailer containing gear and supplies. In an attempt to help protect his transmission, he purchased a performance programmer that allowed him to adjust the transmission’s line pressure. 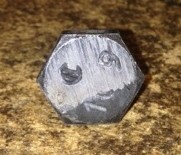 Unaware of the consequences, he had set the line pressure much higher than OEM pressure. 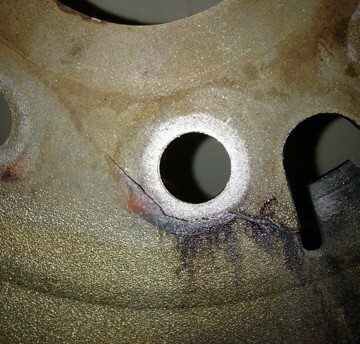 This excessive line pressure, coupled with extreme heat from the heavy loads, resulted in the ballooned converter that, in turn, damaged the flexplate. Our cure for this issue was to install one of our heavy-duty transmissions that includes its own controller that is calibrated to work directly with this setup. We also installed a heavy-duty flexplate. As a side note, it is recommended that Loctite be used on the converter bolts, as these vehicles tend to shake them loose over time. It all comes down to having the right combination for the intended use. Performance programmers can be great for adding power and performance to an otherwise stock vehicle. However, if not used by a professional, it’s easy to set things up to fail, as shown here.